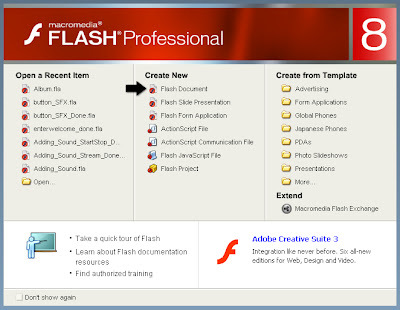 Click on Flash Document under the Create New column of the Flash Start Page (see Fig 1). If the Start Page is disabled, choose File > New. 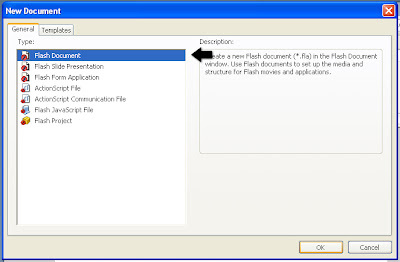 When the New Document window comes out, select Flash Document under the General Tab and click OK (see Fig 2).